Here are our design team answers to some of the most frequently asked questions. Absolutely. 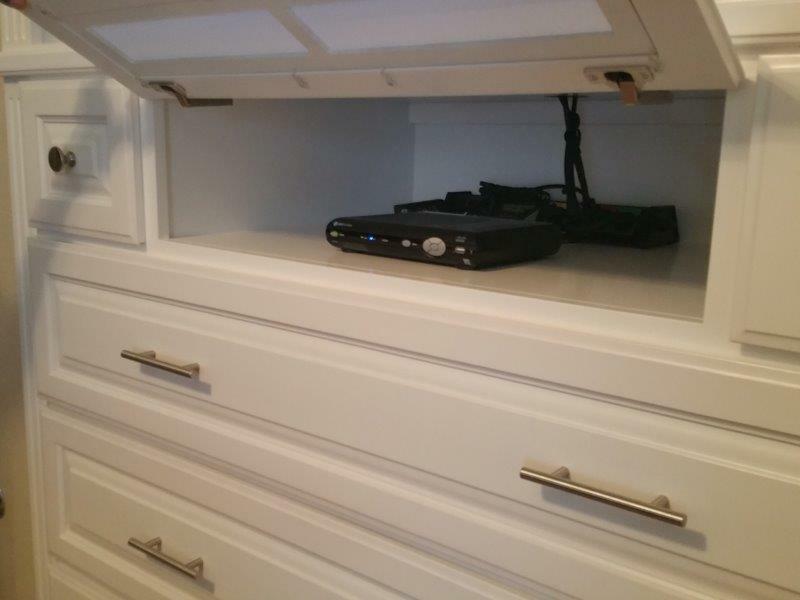 All C&L cabinetry includes professional installation, and that means custom cuts in the back of your unit to allow easy access to existing outlets. Custom Answer #2: The days of putting your components behind a wood or glass door are over. Although glass will let your remote control signal though, it still stays hot inside. C&L’s factory uses high quality speaker mesh that allows the signal to pass through and keeps it cooler inside. 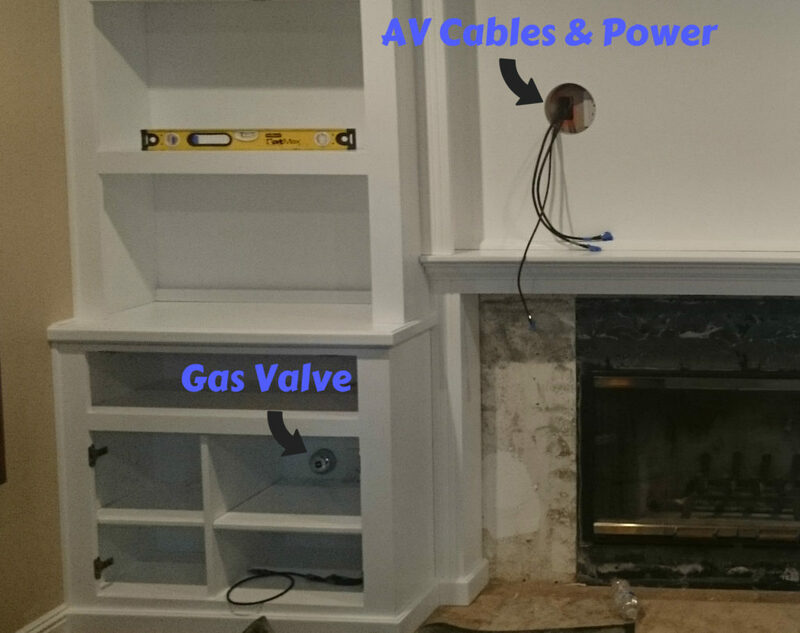 All AV components are hidden out of sight, but signals and sound do not disappear! Custom Answer #3: White units will look great with either black or white mesh. Stained units will always look best with black. All C&L projects begin with a full 3D rendering of your custom cabinetry, so you can see the finish and mesh before we build it. Custom Answer #4: Since you are getting a fully custom design, you can get the television you want. Other than the size limitations of the space you are filling, C&L will design specifically to accomodate your components. Everything we do is custom! 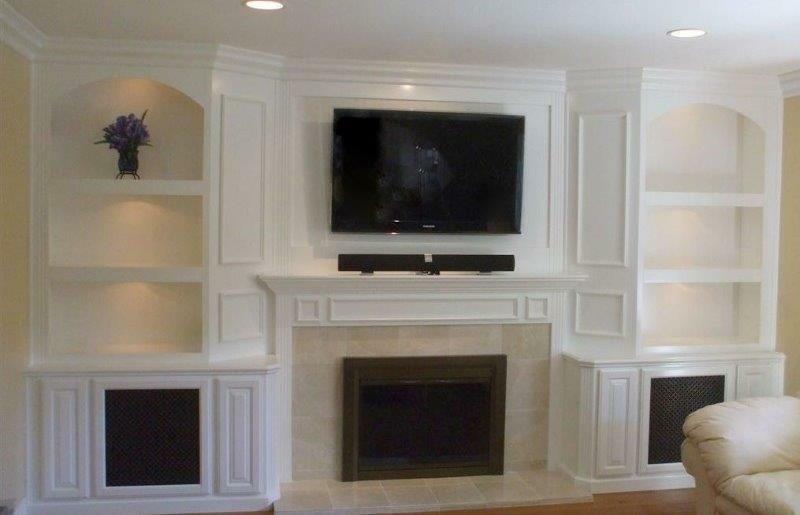 Custom Answer #5: Unlike most companies, C&L offers both paint and stain finished units at the same price. 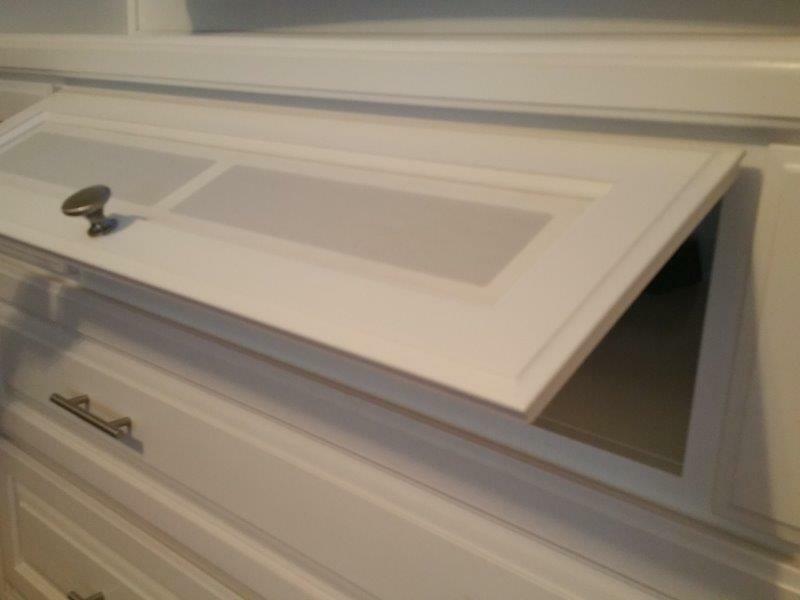 In addition, our painted units have the same quality as our stained units. At C&L, we love custom. We even customized our phone number. The last four digits (4847) are 4VIP …Very Important Project! !